Welcome to Bumble Bee Watch! The yellow faced bumble bee (Bombus vosnesenskii) on arrowleaf balsomroot. Photo by Rich Hatfield. 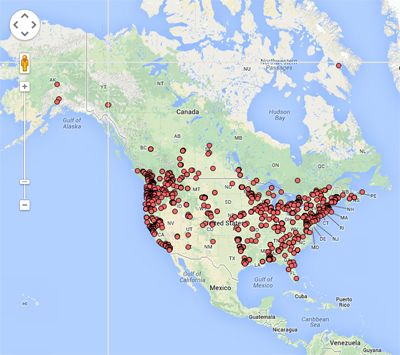 Join the effort to put bumble bees on the map in Oregon, Idaho, and Washington! The U.S. Fish and Wildlife Service officially added the rusty patched bumble bee to the list of endangered species in 2017. The Xerces Society and partners are hard at work on recovery – and your observations are helping! Photo by Rich Hatfield (Xerces); The rusty patched bumble bee (Bombus affinis) on joe pye weed. Photo by Rich Hatfield (Xerces); The yellow bumble bee (Bombus fervidus) foraging in Oregon. Wildlife Preservation Canada (WPC) is a national organization using hands-on intervention and scientific approaches to save endangered species. Every spring, field biologists collect wild yellow-banded bumble bee queens for a conservation breeding program, to develop techniques for at-risk species reintroduction and recovery. You can help by submitting observations of Bombus terricola to provide new locations for targeting spring queen collection and surveys! Click to read more about Wildlife Preservation Canada’s efforts to conserve declining bumble bees. Bombus terricola queen on Salix sp. Photo by Sarah Johnson. We need your help! Because these animals are widely distributed the best way to keep track of them is with an army of volunteers across the country armed with cameras. With any luck, you might help us to find remnant populations of rare species before they go extinct. 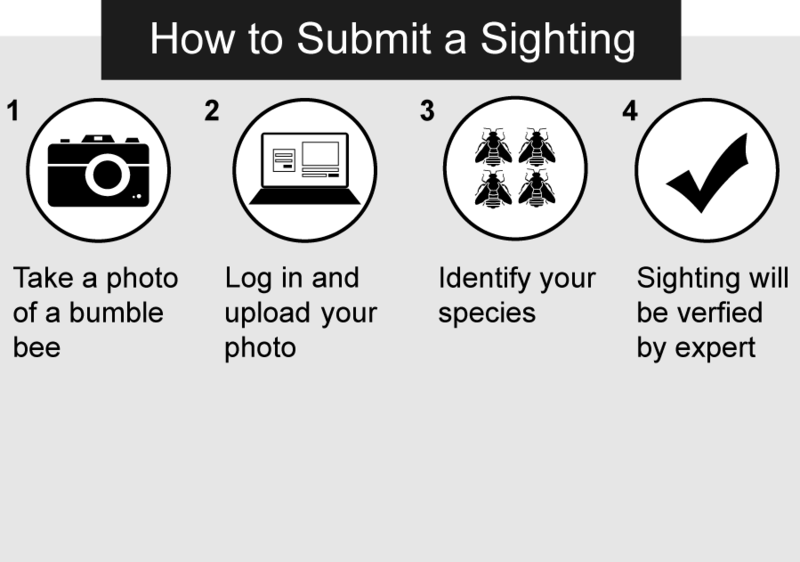 Participating in Bumble Bee Watch is simple and you can get started now by creating an account via the “sign in” tab at the top of the page. How to Use Bumble Bee Watch Get started! Anyone is invited to plant one or more of the plant groups (natives and cultivars) to create their own Budburst Nativars pollinator research garden. Want to know when to look for certain species of bumble bees, helpful tips, and other in the know information? Sign up for the Bumble Bee Watch e-newsletter!